It’s hard to overstate how destructive Proposition 6 would be for California. Vote no. The LA Times has endorsed Alex Padilla! The Los Angeles times highlighted Secretary Padilla’s successes in registering more voters and expanding voting options: California now has 2 million more voters on the rolls than when he was elected, thanks to online registration and the New Motor Voter Act, which he sponsored. Five counties have also adopted the Voters Choice Act which gives voters the options of voting by mail or the flexibility to vote at any vote center in the county over the course of eleven days. And California is poised to do even more to expand voter access in the 2020 elections. Secretary Padilla has been a leader in election cybersecurity in California and across the country. He recognizes the need to protect our democracy from foreign interference and cyber threats — and he’s not afraid to challenge Trump on this issue. The LA Times got it right: Secretary Padilla is the best choice for California’s Secretary of State. Check out the article, then share it with your family, friends, and followers! No need for a big wind-up here: Democratic incumbent Alex Padilla has by and large done a solid job in his first four-year term as California’s secretary of state and he should be returned to Sacramento for a second term. Padilla, a former Los Angeles City Council member and state senator, won his first term by promising, among other things, to register more California voters, improve the use of technology in voting, replace the cumbersome Cal-Access database system for tracking campaign contributions and spending, and make it easier for people to vote through early voting and other such programs. He has managed to deliver on most of those, with 2 million more voters on state rolls now than when he was elected, an increase aided by the rollout of VoteCal online registration and the system created by the 2015 New Motor Voter Act (which Padilla sponsored) that automatically registers eligible voters when they receive or renew a driver’s license. And the new “Voter’s Choice” system that Padilla championed, which allows voters more options for when and how they vote, has been launched in five counties, with more expected to join in 2020 (it’s a voluntary program and not all will adopt it). The secretary of state’s office also oversees an array of business and corporate filings, but historically has drawn complaints for its slow and outdated processing systems. Under Padilla, the office has moved from paper filings to centralized online registrations and submissions, a more flexible and user-friendly way of doing business. The successes have been marked by some hiccups. Problems with software at the Department of Motor Vehicles changed the details of 23,000 voters when they renewed their licenses, such as their party affiliations and mail ballot preferences. The fault lies with the DMV, but the issue makes it clear that Padilla needs to keep a closer eye on the system. And the rollout of a new-generation Cal-Access system, which was supposed to have been done in February, now won’t happen until at least late 2019 — and the expected $11.6-million price tag has mushroomed to $23 million. How much credit or responsibility Padilla shoulders for the advances and stumbles mentioned above varies, but overall he has been an effective administrator and an out-front leader on cybersecurity for California elections and in fighting President Trump’s silly commission investigating voter fraud (which occurs so rarely as to be meaningless). Conversely, Padilla’s challenger, Republican Mark Meuser, who describes himself as a lawyer practicing constitutional and election law, has focused his campaign on nationwide voter fraud and right-wing allegations that some California counties have more voters enrolled than they do people eligible to vote, which experts say is based on an erroneous understanding of the voter rolls. Meuser is right in his claim that election-related problems undermine public faith in democracy, but hyping spurious allegations of mass fraud does even more damage. Padilla’s performance makes him the clear choice here. He has earned four more years. Its been another productive week for Your CDP Team. See below for a recap of this weeks activities. CDP Political Director Clark Lee has released a critical memo about information and cyber security to CDP Central Committee leadership, candidates and campaign staff leaders. You can read the memo by clicking here. The memo contains an overview of steps we are urging be taken immediately by all campaigns to ensure the integrity of their data and operations. As we get closer and closer to November 6, and as our candidates like Katie Hill, Andrew Janz, TJ Cox and Josh Harder (to name a few) continue to surge in Republican districts, we cannot ignore the possibility of a major, coordinated effort to disrupt the Big Blue Wave. Taking the simple steps outlined in the memo – especially at the Democratic Club and Caucus level – will dramatically improve our odds of preventing or resisting a major cyber attack. 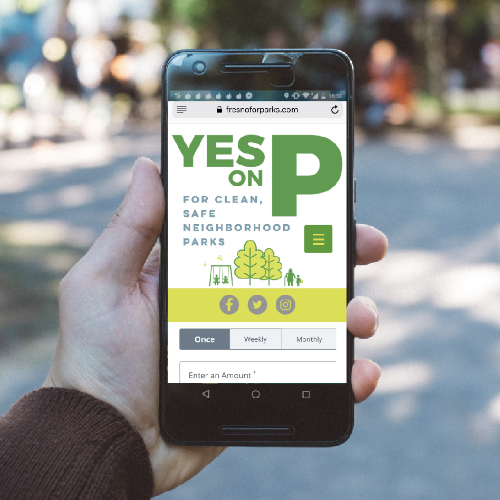 Some of the steps are as easy as using secure messaging services like Signal, which all CDP staff members have been directed to download and use for campaign-related messages. Take some time and read the memo – with so much on the line, we need to take these critical steps to protect ourselves from the bad actors who seek to subvert our Party and our democracy. (And one last thing to remember… technology is just a tool to help us to win. 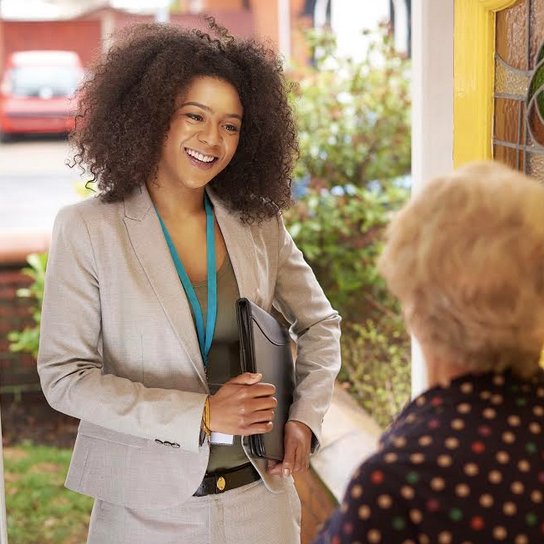 Nothing elects Democrats like good ol’ fashioned door knocking and phone banking, and every voter we talk to is a voter we can inoculate against the twitter bots). Last Friday night, Lt. 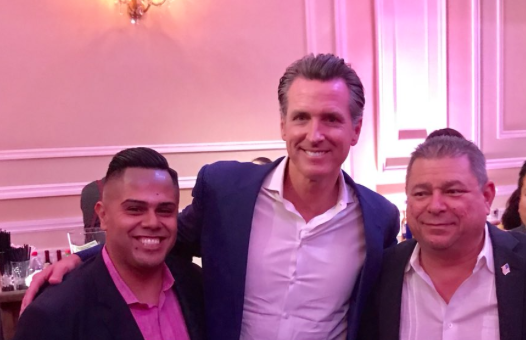 Governor Gavin Newsom joined CDP Chair Eric C. Bauman in Hollywood to celebrate the hardworking activists who are making the Big Blue Wave a reality! Hundreds of activists turned out, and there was a hopeful, almost electric, current of optimism running through the room – not only about what California is doing to lead the Resistance, but what we can do to build on the progressive agenda if Gavin Newsom is elected Governor in November. 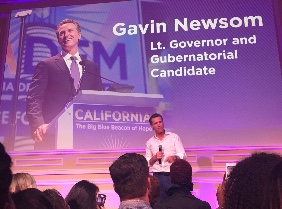 We are truly blessed to have such a talented, proven, visionary candidate like Gavin Newsom leading the top of our ticket. And we know he will achieve great things with his (prospective) partners in the Legislature, Senate President pro Tem Toni G. Atkins and Assembly Speaker Anthony Rendon. California has been a showcase for global, progressive leadership these last eight years under Governor Brown, and we know that will continue to be true under Governor Newsom. Episode 2 of the CDP’s new podcast will be dropping very soon! Featuring President Obama’s remarks at the rally in Orange County, let the soothing tones of the Greatest President Of Our Lifetime inspire your commute home/gym routine/turf cutting. Click here to subscribe. Registration and the CDP room block at the Westin Long Beach are now open. Information about programming, schedule and agenda will be made available once finalized. Click here to register for e-board. 46 Days until the Election! Let’s make sure we don’t tempt the wrath of the whatever from high atop the thing. We all know David Valadao’s been a reliable rubber stamp for Trump. These are just some of the special interest groups that Valadao is loyal to. This probably explains his terrible record on the environment, health care, and his willingness to give tax cuts to the wealthy. In contrast, TJ Cox is refusing all corporate PAC money and is supported by the grassroots. TJ won’t sacrifice his principles to achieve health care access for all, protect the Central Valley’s environment, and make sure Californians’ taxes aren’t hiked unfairly. Can you help us raise $10,000 before midnight to prove that we don’t need special interest money to win in CA-21? It’s been a really busy week. And frankly, they’re all busy weeks right now — between fighting the Trump administration’s cruel immigration policies to defending the Affordable Care Act to standing up for our environmental protections, we have our work cut for us. Now, our campaign is facing a crucial fundraising deadline next week and I don’t have a lot of time to worry about raising money. Can I count on you to chip in $5 before Thursday’s fundraising deadline? If it sounds like we spend a lot of time in court, you’re not imagining it. But as long as the Trump administration keeps trying to roll back regulations protecting the air our children breathe, keeps trying to ban transgender Americans from serving in the armed forces, and keeps refusing to even acknowledge the reality of climate change, I’ll keep doing whatever it takes to fight back. Your support makes it possible for me to fight for our families and our values. Contribute $5 before Thursday’s deadline to help me keep fighting. ITo keep up to date with Xavier’s fight against Trump in court, click here. I am excited to invite you to our fall fundraising events, and would be honored to have your continued support of this campaign as we sprint to the finish line. With less than 50 days to go before voters cast their ballots on November 6th, your support is greatly appreciated – and thank you for all your help thus far! Please see below for further details. I hope you can join me. I hope you can join us for one of these upcoming events. Please contact Christina Kegeyan Pappas with any questions for the Southern California events at ckegeyan80@gmail.com or 310-597-0830. Kidney dialysis centers are dangerously unregulated. Yes on 8 will protect patients. This November, the California Democratic Party is prioritizing the passage of Proposition 8, the Fair Pricing for Dialysis Act. As a Registered Nurse, I know first-hand how patients are affected by the conditions of the clinic and, of course, the high cost of care. Both of these critical issues are at the forefront of this proposition. We must insist on clean and safe clinics and we cannot allow corporations to gouge consumers, and as a result, increase the cost for all patients. Dialysis is a life-saving treatment in which a patient whose kidneys have failed can have their blood cleaned of toxins and excess substances (like potassium) by running it through a machine that acts as an artificial kidney and then returning it to their circulation. Dialysis corporations make billions by inflating charges for some of these gravely ill patients, but they don’t always invest enough in basic sanitation. Bloodstains, cockroaches, and dirty bathrooms have all been reported at some dialysis clinics, which have the potential to contribute to high infection rates. California’s largest dialysis corporations make nearly $4 billion in profits from their dialysis operations, charging some patients an estimated $150,000 a year — approximately a 350 percent markup. But here’s a fact: high prices for healthcare services drive up costs for all Californians. Proposition 8 will require the corporations to refund excessive profits — more than 15% above the cost of patient care — that aren’t spent on improving patient conditions. As your Chair, I am urging you to join me and voting YES on Proposition 8. California needs to continue to be the Big Blue Beacon of Hope, and your support of Proposition 8 will make the difference in the lives of many Californians who need our help. 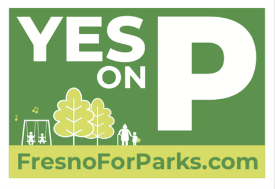 Click here to formally endorse Proposition 8. For more information,visit the Yes on 8 webpage. 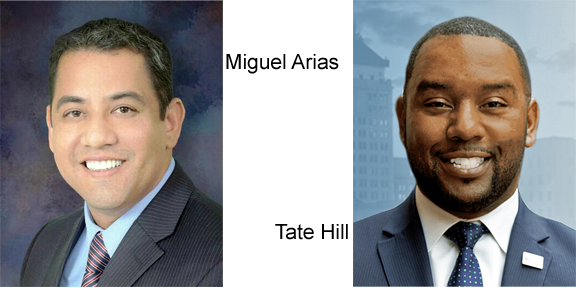 One of these men will represent us on the Fresno City Council in January. Join us on October 2 to find out what they stand for as they compete to get our vote. You are going to vote, right? 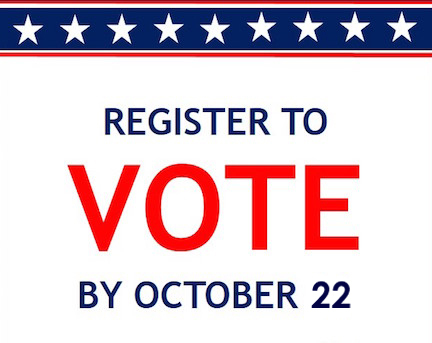 If you’re not registered, you should be! Register at the meeting, too. What a great Chinatown picnic! November Community Meeting – Let’s talk residents! Latest updates on Facebook at Chinatown Road Construction. We DID meet our neighbors and were welcomed by some local dignitaries. Thanks to Mayor Lee Brand, Supervisor Sal Quintero. Assemblymember Joaquin Arambula, Fire Chief Kerri Donis and FPD SW District Commander Captain Mark Salazar. We include them all as friends of Chinatown. What a tremendous effort by the Fresno Fire Department. Besides offering their facility, they kicked in for cleanup. And then there’s Robert Castillo, FFD Public Information Officer. He served on the committee from the start, as well as doing all the barbecuing and bringing tables, chairs and supplies. This would not have happened without the tremendous help of our CFF board, especially Morgan Doizaki, June Stanfield and Barbara Wilson. And we owe so much to Meet Your Neighbors chair, and volunteer, Gloria Flores. Also thanks to Clay Gilpin, Enrique Reade and Yuji Ishibashi. No event works without sponsors. 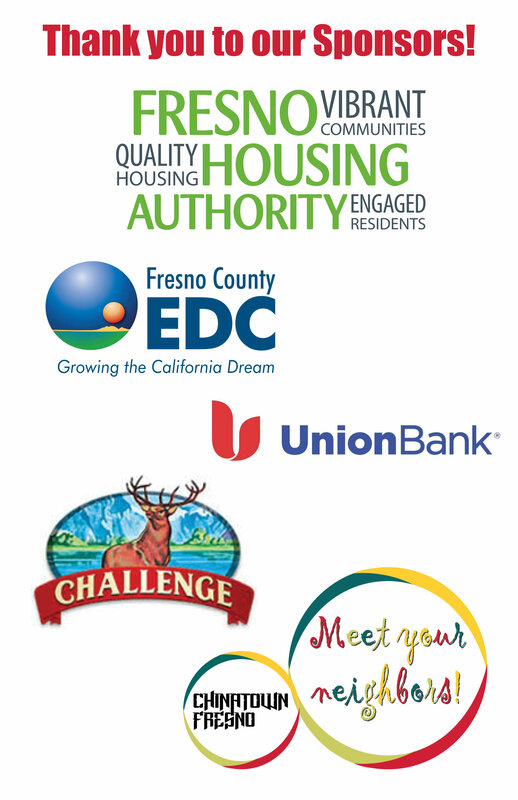 We’re very grateful to our Meet Your Neighbor sponsors. This is our new office. The door on the right. 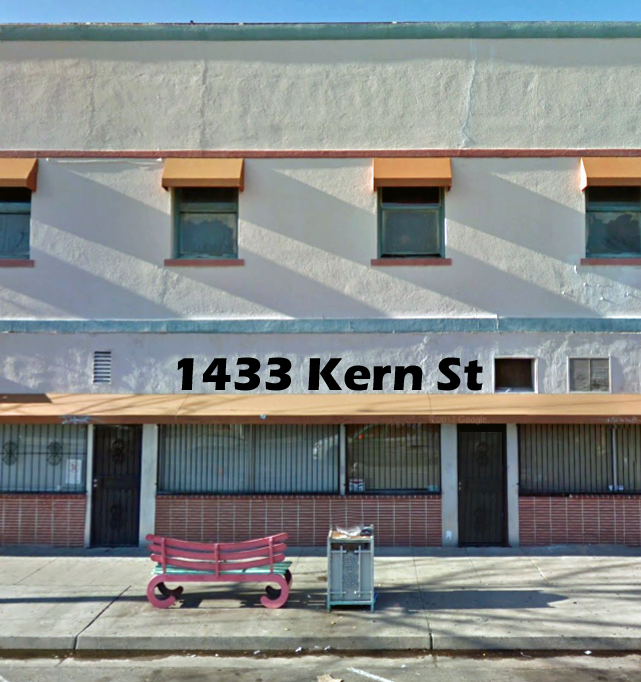 Our new address is 1433 Kern Street. We’ll be ready to open the office on October 2, with hours on Tuesdays from 11 am to 4 pm for the time being. 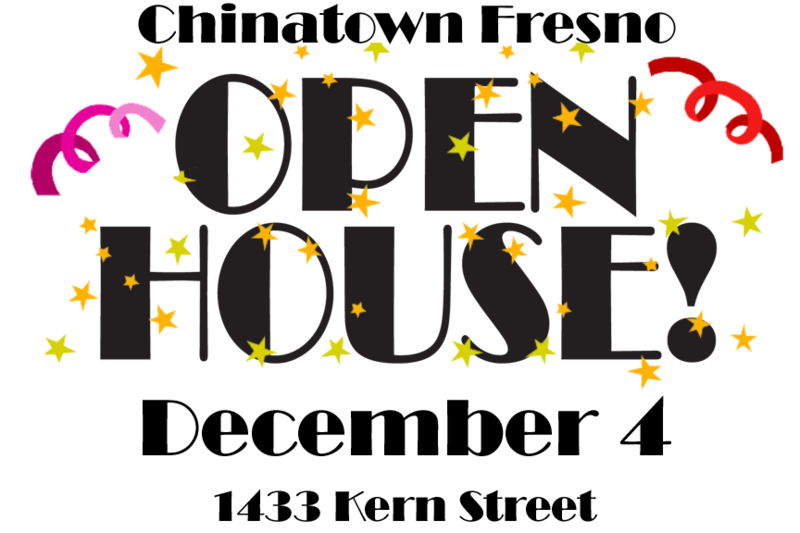 And look for our December 4 Open House. How many residential units are available? How can we draw residents to our neighborhood? 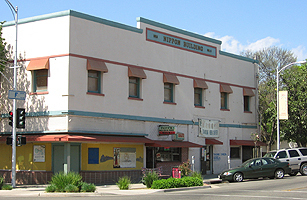 This building is on the corner of F and Kern Streets. See all those second story windows? Those could be new residences. Learn more about SROs (Single Room Occupancy) and apartments on second stories around Chinatown. Join us on Tuesday, November 6 from 5:30-6:30, location to be determined. That’s the day all of us are going to vote. There will be a prize drawing among voters – bring your voter sticker or the stub from your absentee ballot. Meet your next Fresno City Council Member from District 3. Join us to get some answers from our candidates. Why do they want to be in politics in the first place? How can they help end the decades of neglect shown to Chinatown? How will they represent us? Bring your questions! We deserve the best representation! The forum will be televised by CMAC. League of Women Voters will be registering new voters at this meeting. 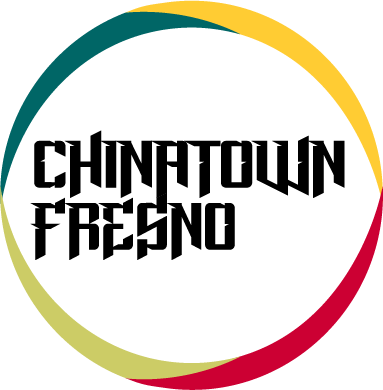 Copyright © 2018 Chinatown Fresno Partnership, All rights reserved. You are receiving this email because you attended a Chinatown Fresno Community Meeting or have requested to be added to our newsletter list. Trump’s trade war is still raging and farmers across the country are still hurting. The US Department of Agriculture’s Economic Research Service just released statistics showing that “net cash income” is down over 20% in the Central Valley agricultural zone. TJ Cox works in the almond business — so do 104,000 other Californians. The almond industry is projected to lose $1 billion due to this trade war. Trump’s tariffs are putting local businesses, good-paying jobs, and economic growth in the Central Valley at risk. That’s why locals are so angry that David Valadao REFUSES to push back on Trump to prevent this trade war from getting worse. We need your input. Even if you’re not in the farming industry, this is an issue that impacts everyone. Can you take our one-minute survey and tell us where you stand on Trump’s trade tariffs? Do you support President Trump’s trade war? As you may know, Trump’s EPA and National Highway Traffic Safety Administration are proposing to roll back fuel economy standards. I just learned that the only hearing on this issue in California will be next Monday, Sept. 24, in Fresno. The Sierra Club is running a free bus from Oakland to Fresno, to bring folks in from the Bay Area – but we need to pack this hearing and make all our voices heard. Can you join us, and invite others in your community? To reserve a spot on the Oakland bus, email julia.foote@sierraclub.org. PlugIn America will also be having a huge Electric Vehicle rally in Fresno that morning, Sept. 24, from 8 to 10 am, at The Grand 1401, 1401 Fulton Street, in Fresno. Contact kstainken@pluginamerica.org if you plan to participate. I will be there to testify, and I invite you and your networks to send folks as well. Please share this widely, and let me know if you plan to attend by replying to this email. Ready for Election Day!? November 6th is less than 2 months away. I can’t do this without you. 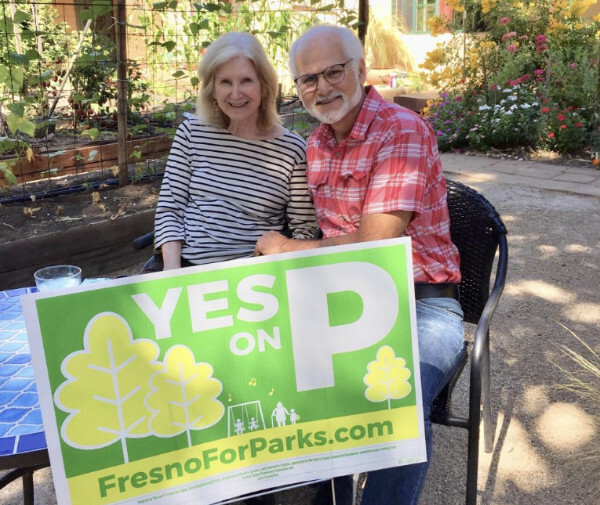 Ready to support the change you want to see in Assembly District 23? October will be our busiest campaign month and we need YOU! Attend an event, get to know Aileen and let her know the issues that matter the most to you for Assembly District 23, the Central Valley, and all of California. Excited to meet the people of Sanger! Thank you to the Sanger Democratic Club for your endorsement. Hope to see you all 2 Saturdays from now. If you’re in the Bay Area, come hear Aileen speak at this free event, this Saturday. 2 Exciting Events Coming in October! Copyright © 2018 Aileen Rizo for State Assembly 2018, All rights reserved. An e-Newsletter for CV Elections! It’s me, Amanda. I can’t help but help put the Central Valley on the radar! We are less than 50 days away from one of the most historical elections of our lifetime, and the Central Valley is right at the center of it. Over the last several weeks, I’ve received calls from political friends (reporters, consultants, pollsters) asking about the Central Valley. In those conversations, I was reminded of how few people understand the region or have folks on the ground to track races. And yet, the Central Valley might just be the most powerful region in the country. Here’s what I mean – the CV is home to the Chairman of the House Intelligence Committee Devin Nunes, second highest-ranking Republican Kevin McCarthy and at least 3 closely-contested Congressional races. The outcomes of these races could immediately change the direction of our country. Now, add in state races, where the key to the supermajority in the State Senate and House runs right through the Valley. Finally, and something most political analysts can’t see from a far, there are several highly engaged down ballot races that, in sum, have the potential to put higher ballot races over the top. To put a finer point on it, these local races are in key towns for Democrats and there have never been so many new and exciting campaigns! So, bottomline, it’s time to check in to the Central Valley and keep it on the radar. Over these final weeks, I will send out updates about the dynamics on the ground and some specifics about overlapping races (no more than 2 emails a week)! CA-10 Denham-R vs Harder-D: The Latino Roundtable switched their endorsement from Denham to Harder! Big move in a 40% Latino district. What’s more is that Harder has the resources in money and volunteers to reach out to all Latino voters in the district! CA- 16 Costa-D vs Heng-R: Costa released an ad about Heng missing elections. This is no surprise for Costa, his race is rarely called on election night, and it’s been like that for about 14 years. CA-22 Nunes-R vs Janz-D: Latest Poll shows Janz within 6 points. And, to celebrate, he threw out a decent pitch at the Visalia Rawhide game! The energy around this campaign locally and nationally just keeps growing. 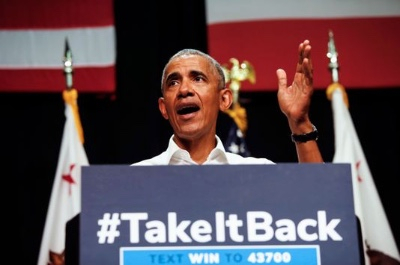 CA-21 Valadao-R vs Cox-D: Big news – TJ Cox was on stage with former President Obama talking about the importance of this election! And, mark your calendars for the debate on Oct. 25. Quick reminder: Trump lost this district by 16 points and Valadao has voted with Trump 99% of the time. CA-23 McCarthy-R vs Matta-D: It was recently reported that McCarthy is traveling across the country doing a lot more Speaker campaigning than home district campaigning. We will see if that pays off. In the meantime, Matta is active on social media and community leaders keep protesting his office. SD-12 Caballero-D vs Poythress-R: Anna, a former Assemblywoman who starts off with name recognition and a great base, was just endorsed by the Sheriffs Association and Republican County Supervisor. You don’t see that very often, especially these days! SD-14 Vidak-R vs Hurtado-D: Hurtado, the only woman on Sanger’s City Council, has an important base in a key Dem-majority city. By the way, Trump lost this district by 22.7 pts! 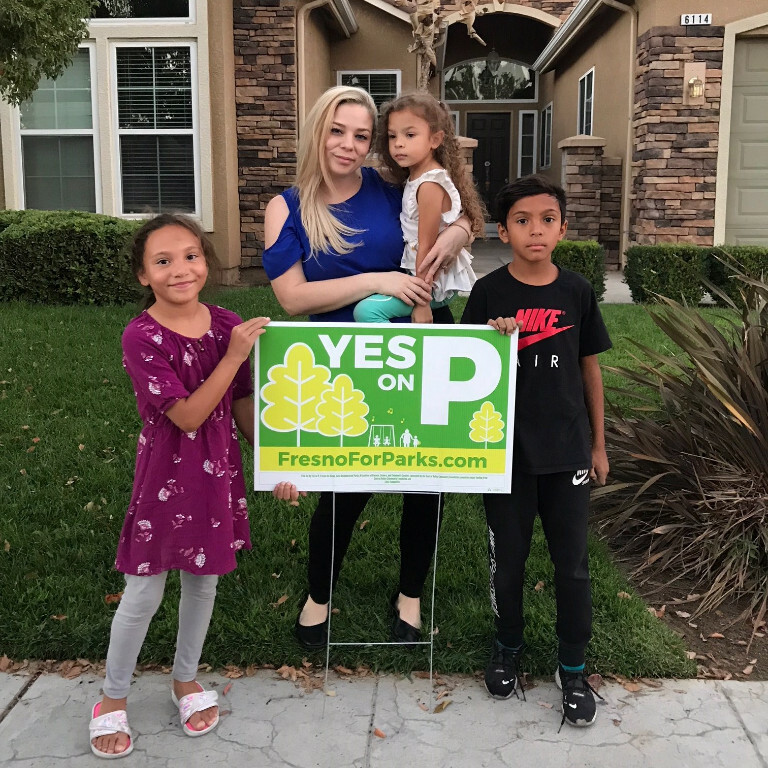 AD23 Patterson-R vs Rizo-D: The district has never had a candidate like this – Aileen Rizo is known locally and nationally for her Equal Pay fight in California. AD-26 Mathis-R vs Sigala-D: No one is harder working on the doors than Jose Sigala. What’s more is that the #EnoughIsEnough project has targeted this race because of Devin Mathis’ sexual harassment issues. AD-31 Arambula-D vs Espinoza-R: Dr. Arambula has stayed true to his profession and just released his quality healthcare report for the Valley. Trump lost this district by almost 30 pts. AD-32 Salas-D vs Mendes-R: Rudy has been doing important work in the Capitol on Valley Fever legislation that impacts all Valley families. He’s also joint campaigning with TJ Cox in Lamont, leading the #ValleyTogether effort in the south Valley! Trump lost this district by 18.5 pts. As I mentioned earlier, there’s a lot going on in down-ballot races. Remember the MALDEF case in Kern County? Well, the result is a county board seat is open. Delano, a strong Dem town, is fired up to choose their supervisor and one of the most important GOTV areas to flip seats! There has also been a lot of work in voter education and engagement throughout the summer. The LATimes had an op-ed about UC Santa Cruz students successfully engaging CV youth to vote and Paola Ramos (daughter of Jorge Ramos) was just in Sanger at the youth center and doing voter reg! Lastly, I was recently quoted as saying, “I’ve never seen this kind of political engagement across the region”. I said that because the forces are lining up for this to be a historical turnout of new midterm voters. There have never been six figure TV ad buys this far out from election day. There have never been campaigns raising multiple millions in just one quarter (bonus: one of them was all individual donors). There have never been such active social media campaigns that can reach all of our rural communities, in multiple languages. Oh, and did I mention billboards and bounce houses? Yes, there’s quite a bit of unconventional campaigning that’s hard to see from far away. I look forward to the continuing dialogue. If you have any questions or suggestions, feel free to email back. Also, if you know someone who wants to be added to this list, have them email me at amanda@amandarenteria.com and use the title, “Add to CV”. New video will change the race, need your help. I’ll keep this short because I want the video to speak for itself. We’ve created a video (it’s short) that really goes into depth about my childhood growing up in the Barrio Logan in San Diego, and how my mother risked everything to give me a shot at the American Dream. It also talks about how it almost didn’t happen. We launched it yesterday and the response has been incredible, in just 24 short hours, this video has been seen over 35,000 times on Twitter. And it’s just beginning. Reality is that we need to get this message across the state to progressive activists, independent voters and even Republicans. Can you make a contribution and help us spread this video to every corner of the state? “In fact, he has a record of progressive accomplishments in the legislature that would be the envy of many congressional veterans. He was the author of California’s sanctuary state bill, which became law in October. More recently, de León shepherded the passage of a climate change bill that requires California to run on 100 percent renewable energy by 2045. “I’m no stranger to crafting complex, arcane policies like 100 percent clean energy. That’s not an easy feat in the fifth largest economy in the world,” de León said. I hope you agree. And the only way that we can get our message out is with grassroots donations. It’s not perfect, but in order to run a statewide campaign in a place as big as California we need to raise funds and get this message out there. Will you donate to my campaign today and help this video go viral? Help us with a donation and we will put 100% of it behind advertising this video and getting it out there. This money will go solely towards making sure that we get this in front of Democrats, Republicans, and independents all across California and the country. 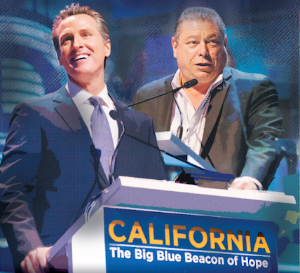 Our campaign has always been grounded in the hope that California deserves not only one, but two progressive voices in the Senate. I’m so glad and grateful to have you on my side.